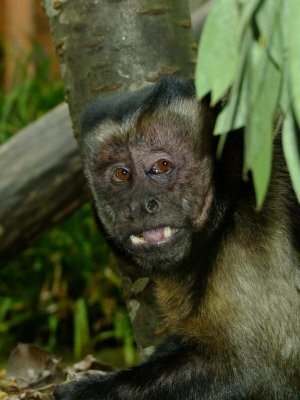 Barney the Capuchin is the oldest monkey at the zoo and the only one to have seen in the Year of the Monkey on two previous occasions: 1992 and 2004. He was born at Drusillas in May 1990 and at 25 years old, he is well known for his cheeky antics and fun outlook on life. Barney recognises all of the people that care for him and will revel in excitement when a familiar face passes by. Dominant male, Moteck arrived at the zoo from Monkey Park in Israel in 2010 and heads up the zoo’s group of Sulawesi crested black macaques. Moteck means sweetie in Hebrew and this large monkey certainly lives up to his name. 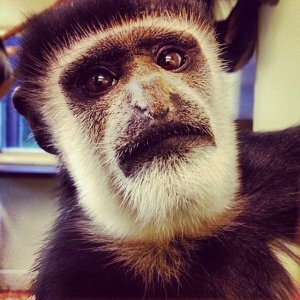 Makena is the youngest member of the colobus family at Drusillas. She was born on 21st November 2012 and her name means happy one. Mark Kenward before being reintroduced to the group several months later. He is now in charge of his own troop of monkeys at the zoo. 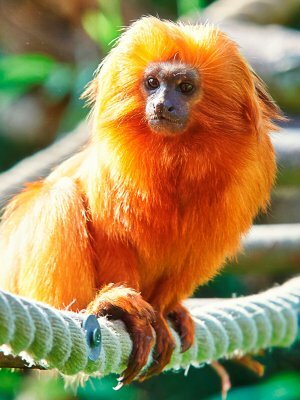 Treacle the golden lion tamarin joined the pride at Drusillas in October 2014. She arrived from Duisburg Zoo, Germany to be paired with Drusillas’ male tamarin, Paulo. These majestic monkeys are lion in name rather than heart – in fact they are naturally very timid and are named due to the silky golden mane. All of the monkeys at Drusillas were served up a feast of their favourite treats on Monday, to ensure the ‘2016 Year of the Monkey’ got off to the greatest of starts.